Seinfeld's first season had a humongous order: five whole episodes. Take out commercials and you could finish the season in under two hours. The series, sans Julia Louis-Dreyfus and called The Seinfeld Chronicles, premiered to 15.4 million viewers and a 10.8 HH rating on July 5, 1989, and was the #21 program of the week. When it finally aired its second episode on May 31, 1990, it rose all the way up to 22.5 million viewers, which obviously is a huge increase and a great sign for the series. What was left unsaid, though, is that it fell from its lead-in, a RERUN of Cheers, and barely beat the reruns of The Cosby Show and A Different World earlier on in the night. Remember, we're talking about a time where viewers only had to choose from three different networks + struggling newborn FOX, so ratings standards were much higher then than they were now. But then again, losing to a rerun didn't stop Seinfeld from being the #3 program of the week, and continued a great summer run for the next few episodes. Season 2 was a little different. Moved away from its Cheers rerun lead-in, Seinfeld had to air out of Night Court, a fellow NBC comedy that only got about 2/3rds of what Cheers did. The season premiere had 15.6 million viewers and continued to drop from there. The show was quickly moved back to the post-Cheers time slot, and saw a significant increase in ratings to its peak of 24.7 million viewers on April 4--up from the 13.6 million who watched the previous episode. It was really clear that Seinfeld was lead-in dependent at this point. To add on, NBC aired the season finale late into June, a month after its previous episode, in the Wednesday at 9:30 time slot it started the season in. With only 12.5 million viewers and a 8.8 household rating, Seinfeld only tied its Night Court rerun lead-in, ending the week in 44th place, despite being one of only 17 shows that week to air an original episode. The show had its big chance but blew it--twice. Seems about time to cancel Seinfeld, right? Yet despite being the #46 program of the season on a network where all the comedies were dominating the ratings, NBC renewed Seinfeld for a 3rd season, AND for 23 episodes, up significantly from the 12 it received in Season 2. Season 3 finished #42 in the ratings with an average of under 18 million viewers, its lowest viewership yet. However, airing out of a special hour and a half version of Unsolved Mysteries in late November, Seinfeld saw a ratings increase, though only to the amount that Night Court typically received. By midseason, Seinfeld and Night Court had been switched, yet another chance that NBC gave Seinfeld to improve. So had their ratings--though Seinfeld now had a much better lead-in, and only capitalized slightly. By the end of the season, Seinfeld was the #47 program out of the #21 program, and despite the time slot upgrade probably didn't do enough for yet another renewal. Yet NBC still went ahead and green-lit a fourth season. Ratings declined a little, yet not as much as the rest of television, and the show had worked its way up to #30. By midseason, it was moved back to Thursday at 9:30, behind Cheers again, as in its Wednesday time slot it started to perform as well as Wings, which was concurrently holding the post-Cheers time slot. Since The Cosby Show had ended, Thursday at 8 and 8:30 had become a struggle in the ratings for NBC, so moving Wings to the 8:30 time slot and the relatively promising Seinfeld to 9:30 seemed to make sense. It hit a peak of 32.8 million viewers that season, showing that a time slot can mean everything. Interestingly enough that episode was titled "The Pilot", where the characters in the show were making a pilot about their lives--the fake pilot, titled Jerry, is basically what Seinfeld is already about. Due to its success midseason, it rose to the #25 program of the season. NBC was definitely making a very brave decision to move it there considering it had its chance a couple seasons ago and blew it. That would turn out to be the final season of Cheers, meaning NBC had to make yet another very brave decision in the 1993-1994 season: move Seinfeld to the Thursday at 9 anchor time slot, AND launch a new show, Frasier. This pairing was simply unstoppable--Seinfeld finished the season as the #3 program on TV, and Frasier as #7. Wings also did well at 8:30 as the #18 program, though the 8pm time slot was still trouble. It averaged a 19.6 HH rating and 29.6 million viewers, almost 10 million more than the previous season. Overnight, Seinfeld grew into a cultural sensation and was the cornerstone of NBC's Must See TV Comedy Thursday. The next season, Seinfeld became the #1 program, averaging just over a 20 HH rating and 30 million viewers. This is all despite losing its lead-in (Wings) and lead-out (Frasier), both asked to anchor a Tuesday night due to protests from higher-up executives against the Head of Scheduling for wanting to go all-unscripted on the night (remember, this is in the pre-Survivor era, where unscripted meant Dateline, Unsolved Mysteries, etc. The 8:30 show on Thursday night, a little show named Friends, had a promising start and was moved post-Seinfeld midseason, ending as the #8 program of the season. Hope and Gloria, madam of the People, and even Mad About You were also Top 15 shows on NBC's Thursday night that season. 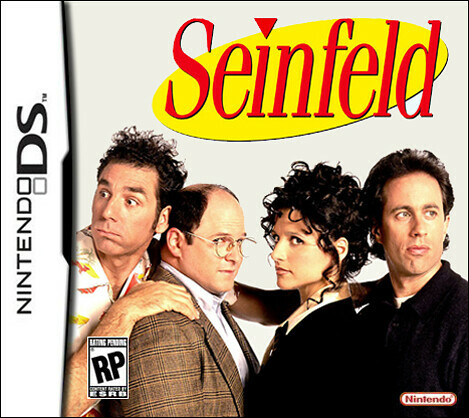 All of a sudden, Seinfeld was unstoppable, and nothing else they aired on the night was either. It was the #2 program on TV for its next two seasons, and rose back to the top spot in its 9th season, which was also the last season due to Jerry Seinfeld, star, writer, and creator, wanted to end it. The finale had 76.3 million viewers and a 58 share; the clip show that aired before it had 58.5 million viewers and a 53 share. Quite a long way for the show has come over its nine seasons. support for the idea (which never happened). Today, Seinfeld is in constant rotation in syndicated reruns, and is considered to be one of the best comedy series of all time. It's a classic example of a show that was given a first, second, and third chance, and eventually grew to be the legendary show it is known as today. Constant references are made to the show and its characters, DVD box sets have become massive sales generators, and it was simply irreplaceable. Yet it is very rare that a show gets so many chances to grow in the ratings. Seinfeld is a rare outlier success story that is constantly cited today as a reason why networks should give x show another chance. While fans constantly overlook the fact that the chances their show turns into another Seinfeld in relative ratings, it is truly impressive to look back and see how unique Seinfeld was in ratings trajectory.